The owner of a small plane that crash-landed on the beach at Carmanah Point Light Station, prompting two search-and-rescue missions, plans to return to the remote area shortly to make repairs to the craft in the hope he will be able to fly it home. Oban Gilbert-Stone, 25, crashlanded on the beach last Friday when the landing gear broke on the kit-made plane. A military helicopter picked up Gilbert-Stone and a friend from the lightstation, which is south of Bamfield in the Pacific Rim National Park Reserve on the Island's west coast. However, on Sunday, he and his two brothers tried to hike to Carmanah Point, carrying a propeller and tools to mend the plane -the area is not accessible by road. A girlfriend reported them overdue and, on Monday morning, a search was launched shortly before the three Saltspring Island men turned up at the lighthouse. That time they were lifted out by a coast guard helicopter. "Parks [Canada] has turned the recovery mission over to me," said Gilbert-Stone, adding he hopes Transport Canada will give permission for a one-time flight once he has fixed the plane. Transport Canada spokesman Rod Nelson said that, after an accident, it is recommended an aircraft maintenance engineer assess the damage. The accident must be reported to the Transportation Safety Board. Damage and any repairs are to be reported to Transport Canada, he said. Before a ferry permit is issued for an amateur-built aircraft, either the owner/pilot or an aircraft engineer must attest the plane is fit to fly, Nelson said. 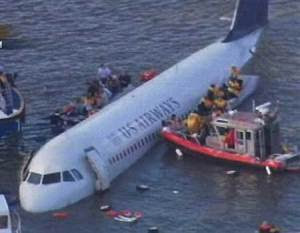 The plane will need work whether it is flown out or has to be slung under a helicopter, Gilbert-Stone said. If he has to hike there again, he will use a better map, he said. Landing in a national park is not allowed without a permit and Parks Canada is reviewing what happened, said Dave McVetty, Pacific Rim National Park Reserve superintendent. Gilbert-Stone said he was not aware of that rule. He said he grew up near Carmanah Point and wanted to show the area to his girlfriend. "It was such a nice day I decided to land on the beach for a picnic. Landings are made on beaches all the time. It's not a dangerous manoeuvre," he said. It was a soft touchdown, but a small gust of wind took the plane up again and on the second touchdown the landing gear gave way, Gilbert-Stone said.